Credit card fraud affects many stakeholders. It’s damaging not only to consumers, but also to merchants and financial institutions. In addition to losing money, credit card fraud can ruin a customer’s relationship with a retailer as well. But with advancements in card security like having a chip and PIN, how does fraud continue to be such a big problem? How can Canadians protect themselves? What can retailers do to limit their losses? Well, our guest today thinks that fraud prevention is most successful when all parties work together. Rafael Lourenco is the Executive Vice-President for ClearSale. ClearSale focuses on credit card fraud prevention for online stores. 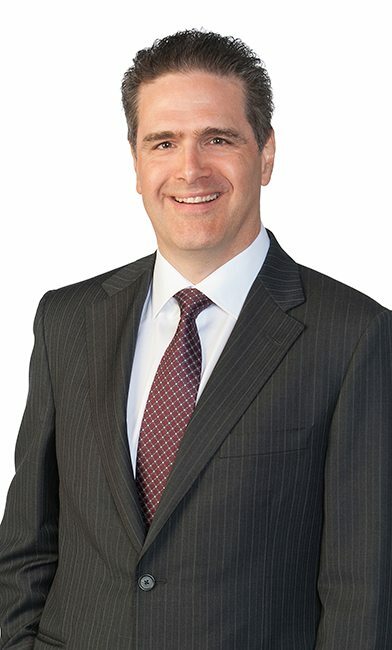 The company operates globally and Rafael says that although Canada has implemented more modern technology when it comes to card security, this advancement increases risk in a different area: card-not-present purchases. “Card-not-present fraud” means exactly what the term says. It’s theft that impacts retailers online or over the phone, where the physical credit card isn’t present and the process of punching in a PIN doesn’t take place. According to Rafael, it’s a huge problem: An average North American merchant loses on average 0.9%, meaning 90 basis points of its revenues in chargebacks and fraudulent losses. That may sound like a small percentage, but retailers tend to only have margins from 4 to 8%. So, if they’re losing 1% out of 4 or 5, you’re looking at a 10% loss of profit just from fraud. To counter this problem, retailers then implement stricter measures online, which can create a negative customer experience by blocking some orders they think are fraudulent. Unfortunately when they do that, eventually they won’t do it properly and they will block transactions that shouldn’t be blocked. Lack of information: Retailers don’t like to make their customers complete many forms before making an online purchase because the experience should be fast and simple. But, the ab sense of more detailed information about you and your card makes it harder to verify that an online purchase is being made by the actual cardholder. Take for example the one-click buy approached used on a lot of commerce websites. Your credit card is loaded on the website, you don’t need to type it again, or to type the three digit CVV security code. This is easier for you but anybody that hacks your account online will have instant access to your credit card without having to provide this information either. Data breaches: Hackers gain access to data when large breaches occur the Equifax hack. When a fraudster has access to a combination of details, like a credit card and an address, or an email and phone number, then it’s much easier for them to pretend to be somebody else. Essentially, it’s identity theft and merchants face challenges in preventing these transactions, as they appear real. ClearSale’s technology helps detect and prevent these types of fraudulent transactions by sending verification calls to customers to confirm that they made a purchase. How can consumers help prevent credit card fraud? Never give out your credit card information – not even to family. If you want your son or daughter to use your credit card, it’s best to make them a secondary credit card holder. This way, they’ll have their own number and spending limit. Answer verification calls. You may receive a call on behalf of a store confirming your purchase activity. Rafael suggests taking these calls and confirming whether or not you made a purchase. He stresses that these are always only yes or no questions and that you should not volunteer any extra information yourself or be asked to do so. Let retailers know when your transaction is declined. If you do make a purchase online and your transaction is declined, Rafael suggests contacting the merchant to let them know it happened. This allows retailers who may have setup more stringent security improve their own internal systems so that other, legitimate purchases aren’t also blocked. For more details on how both consumers and businesses can protect themselves from hackers and fraudulent activity, tune in to today’s podcast or read the complete transcript below. 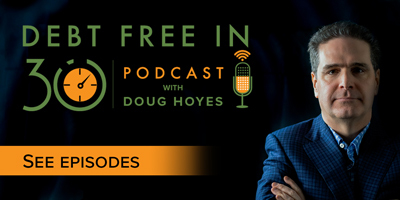 Doug Hoyes: Over the years, I’ve had many clients who got into debt as a result of fraud. In many cases it was preventable. They lent their credit card to someone and gave them their PIN, and that person used their card and didn’t pay them back. Unfortunately, if you give away your PIN the bank won’t cover your losses. We’ve talked about that before on this show, including with Kelley Keehn back on show number 75, so I’ll put a link in the show notes to that podcast so you can go back and listen to it if you missed it. But what happens when I don’t give my card to someone and fraud still happens? Today in Canada our credit cards have chips, so fraud at the store is much less likely than it was in the past, but what happens when you use your card to make an online purchase? If I’m buying something at an online retailer, I don’t use my chip. I just type in my card number and other information. And that’s one reason why online fraud is more common than fraud at a store. It’s called card-not-present fraud, because of course the physical credit card and the chip is not present for that transaction. So other than the fact that you don’t use the chip on your card when you make an online payment, why is it so hard to prevent online credit card fraud? How do merchants protect themselves? More importantly, what can you do to protect yourself when you’re making purchases online? Those are the questions I have for my guest today, so let’s get started. Who are you? And who do you work for? Rafael Lourenco: I’m Rafael Lourenco. I am the Executive Vice President for ClearSale. And ClearSale does fraud prevention for card-not-present transactions, meaning that we avoid, we stop fraud before it happens, for transactions done mainly online, mainly with situations in which somebody’s buying but is not present on the process of buying. So companies like Wal-Mart, Sony, Chanel and a bunch of others are our customers, and we help them with this process of preventing from fraud. Doug Hoyes: And card-not-present is exactly what it sounds like. If I go to a bricks-and-mortar merchant with my card, I put it in the machine, I punch in my PIN. But if I’m buying something online, which is what you’re talking about, obviously my card is not present; I can’t punch it in. That’s what you’re talking about with card not present, is that right? Rafael Lourenco: Correct, correct. So the biggest difference between these two scenarios that you just described is the financial liability, right. So when it comes to transactions in brick and mortars, or card-present transactions as we like to describe, this financial liability for eventually a transaction that is not recognized by the cardholder is on the bank’s or the card issuer’s side. While, when you’re talking about a card-not-present transaction, which is mainly online or modal or phone orders, then the financial liability, meaning the company responsible for paying the reimbursement that the customer is owed, is the merchant, so the company or whoever it was that let the transaction go through. Doug Hoyes: And so as a consumer, do I even care then? So I mean if it’s the bank’s problem, then what do I care? Is this something that as an individual consumer I need to worry about? Rafael Lourenco: Okay, so there’s a few optics. Obviously when you have your credit card involved in a fraud, there will be different levels of how easy it is to get your money back, right. So you’re going to call your card issuer as a consumer if you see a transaction on your invoice that you don’t recognize. And if that’s a card-not-present transaction, it tends to be easier for you to get your money back. And the reason why is that the company you’re calling to, which usually is the bank, is not responsible financially for that fraudulent order. So they will probably only let you go and give your money back, and then ask for this money back from the merchant. However, it doesn’t mean that it’s 100% seamless for you this process, because obviously you have to issue another credit card. Probably your credit card number and very likely other personal information about yourself is being used by a fraudster, so ultimately you are being involved in a crime. So I’d say that financially speaking, in the super short term, yes, you shouldn’t care that much. But obviously, conceptually speaking, I’d say there is a lot more involved in a situation like that that you should be aware of as a consumer. Doug Hoyes: I want to be aware of as well. So how big a problem is fraud, and specifically the kind of fraud that you’re dealing with, you know, card-not-present fraud? How big a problem is it? Rafael Lourenco: Yeah, it’s a huge problem, and mainly it’s a growing problem, right. And it involves many aspects of a business as well as a consumer’s point of view. In the business point of view, you’re talking about mainly two losses, two sources of losses for a business. The first one mainly, and more obvious in the first layer, is the losses with fraud. So an average North American merchant loses on average 0.9%, meaning 90 basis points of its revenues in chargebacks, in fraudulent losses, right. So it’s a little less than 1%. But if you look at this on the point of view of – it sounds like a small percentage, but if you look at it at a point of view of the margins, retailers tend to have margins from 4 to 8%. It’s not a big-margin business. So if you’re losing 0.9 out of a margin of 4 or 5%, you’re talking about more than 10% of your margins going away with fraud, with a specific type of loss, right. And that’s a big problem. Secondly, what could be actually a bigger problem than that is many retailers will be afraid of losing this amount of money, and eventually will implement systems, rules, policies, whatever to block some orders to avoid this cost to happen. And when they do that, eventually they won’t do it properly and they will block transactions that shouldn’t be blocked. So somebody as a consumer may have been declined by a certain merchant because they implemented a system that is very conservative, and that’s a much bigger problem. So talking about the United States for example, there are some researches that say that it’s a $9 billion problem, the problem of fraudulent chargebacks. While, if you talk about false declines that are those orders that should be approved but weren’t because of a fear of fraud, it’s a problem of $113 billion in potential revenue that is blocked, that didn’t really happen as revenue. So, mainly those are the two biggest problems on a merchant’s point of view. Doug Hoyes: Yeah, and obviously that’s annoying for me as a consumer, if I’m placing an order online and all of a sudden it gets blocked for some reason I don’t even know what the reason is, and I’m all upset and now I don’t like the retailer and I’ve got to go somewhere else. So obviously it’s a problem for everyone. So why is it then that it is so difficult to prevent this type of fraud? Rafael Lourenco: Well yeah, first you’re completely right. As a consumer, 34% of the consumers in the recent research report that they would never buy again in this merchant if a credit card is declined, especially because many consumers won’t have a clear view of why the transaction was declined and eventually will relate it to a credit issue, or to something that the merchant believes the person can’t pay or is not good enough for the merchant. So the feeling is not really good on the consumer. Doug Hoyes: What percentage did you say? Rafael Lourenco: Yeah, will never buy again. And another 32% report that would reduce their usage of credit card in this particular merchant. So, more than 60% of them will make some different behaviour after that happens. Doug Hoyes: Yeah and I can certainly understand that because, so I go online, I try to purchase something and all it says is declined, it doesn’t give me a whole reason for it. And so I’m thinking ‘Oh boy’, you know my credit’s bad or they think my credit’s bad. So it’s annoying for me as a consumer, it’s upsetting, but yeah, now I’m really mad at the retailer, because who else can I be mad at. Or maybe I’m mad at my bank as well. But it’s a problem. And as a result, I can see ‘Okay, I’m not going back to that retailer.’ So it’s obviously a huge problem, so why is it so difficult to prevent this kind of fraud? Rafael Lourenco: Well, I think there are two main sources of reasons why it’s hard to prevent from this type of fraud. 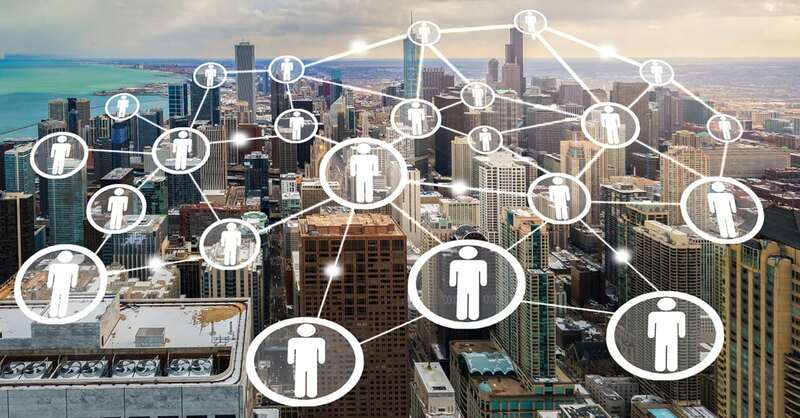 First is that, as time goes, as the technologies are developed, the merchants and the providers, just like ClearSale, they count with less and less information in that moment, right, because people are less and less likely to share information on a certain purchase. So think of the purchases doing through your cell phone. You don’t want to fill like dozens of forms, or you don’t want to share a lot of information about yourself. You just want to buy something online. Sometimes you’re buying something through an app on your cell phone, and you don’t even want to type. It’s hard to type everything up. So merchants are requiring less and less information from the consumers. And that’s a trend that I wouldn’t doubt, I wouldn’t fight against it, because everybody’s willing to make a purchase the easiest they can. So that they can sell more and the consumers can have a more convenient way of buying. So the absence of information is one of the sources of how – one of the reasons why it’s so hard. On the flipside of that, you have the fraudsters also involving when it comes to their techniques. So the data breaches, for instance, are an important piece of this puzzle. So once Equifax or Target or any of those famous data breaches that happened in the recent years happen, then basically your data or the data of a big number of consumers is out there waiting for being used by someone, right. So when a fraudster has access to a combination, for instance, of a credit card and an address, or an email address and phone number, then it’s much easier for the fraudsters to pretend to be somebody else. Because at the end of the day, when we are talking about this type of fraud, we are talking about identity theft, right. The fraudsters usually won’t use their own credit card obviously; they will use somebody else’s. And the data breach, as I said, is an important part of that because it’s easier from a fraudster point of view. In a fraudster point of view it’s easier to access a combination of data, and therefore it’s easy to pretend to be somebody else. So if I have your name, your shipping address, your email address, then I just have to fill those items and I’m going to be pretending to be yourself, and it’s going to be hard for the merchant to avoid that or to understand that order as suspicious, because everything is matching. Doug Hoyes: Yeah, and I hadn’t really thought about that but you’re right, a lot of people now are buying things on their phone. It’s not like I’m going on my desktop computer and I’ve got lots of time to fill in all the different forms and everything. And the reason I’m doing it on my phone, obviously, it’s way easier; it’s an ease of use. Do you think we’ve sacrificed some security for ease of use to make it easier, where there’s only one or two buttons I click now and now many? Is that a problem that we’ve got now, we’ve traded security for ease of use? Rafael Lourenco: I’d say that depends on your point of view, right. If you’re a merchant and you want to sell more, then obviously it’s a trade off that you may want to take. But at the end of the day, yes, you’re right. Like the less information you ask the harder it is to prevent from some type of fraud, so the more you need technology suppliers or whatever to develop and to design a fraud-prevention strategy that accommodates this new scenario. But yeah, it’s two sides of the same coin. So I’d say that somehow some merchants may have sacrificed the security in the name of ease of use. For instance, the one-click buy is the perfect example. So when your credit card is loaded on the website, already loaded, and you don’t even need to type it again, or to type the security three digits, the CVV as they call, anybody that hacks your account online will have instant access to your credit card. So the one-click buy is the perfect example of something that makes your life much easier as a consumer, but opens a new opportunity for fraudsters. Doug Hoyes: And I want to come back to that but I also want to ask you then, is fraud more common with eCommerce transactions than with a normal bricks-and-mortar store. I mean obviously there’s no such thing as one-click buy when I’m standing at a cashier. Is it more secure in a bricks-and-mortar store? Or is it about the same? Rafael Lourenco: I’d say percentage wise, yes, the card not present is riskier, and especially in countries or regions or merchants that adopted the chip and PIN code for the orders, because it’s much harder to duplicate a credit card with a chip and understand or figure out what’s the PIN code, the password, versus just knowing the 16 numbers of a credit card and expiration date that basically is what is required for card-not-present fraud. So yeah, I’d say that card-not-present orders are riskier. Doug Hoyes: Now your company, ClearSale, operates across the world, right? You’re based in the United States, but as a Canadian, if I’m purchasing something online there’s a very good chance that your software, your program is being used by the retailer I’m using. Is that correct? Doug Hoyes: Okay, so what differences do you notice between Canadians and Americans? Is fraud more prevalent in one country over the other? Are there any differences in patterns that you see in Canada as compared to the United States? Rafael Lourenco: Mm-hmm, so good question. I think they differ in a number of dimensions let’s say. But the most important one, or the one that I think is easier to understand or to realize is that Canada’s difference from the U.S. has been using the technology of chip and PIN for a longer time compared to the U.S. So October 2015 was the initial date in which the transactions with no chip in the brick and mortar were initiated to be on the merchant’s responsibility instead of on the bank’s responsibility for the card-present orders, for the card-present transactions in the United States. So I think the number one difference between the countries is that. I mean when you’re talking about card-present orders, Canadians are much more used to the chip and PIN, which is let’s say a more modern technology comparing to the magnetic that the Americans are used to. And this scenario has consequences to the card-not-present orders, and the main consequence is that the Canadian market is a little riskier comparing to the American market. And that’s a fact that eventually you wouldn’t expect because of other reasons. Doug Hoyes: Yeah, I mean that sounds crazy to me because, okay, so we’re more likely in Canada to be using the chip and the PIN. And I know that for a fact because every place I go you put your card in, you punch in the code. And we’ve been using it for a lot longer than the U.S. You said it was only October 2015 that the responsibility switched to the merchant, so they’re obviously a little more proactive now. So if we have better security and have been using it longer, why is Canada riskier for or more likely to be subject to these kind of fraudulent transactions? Rafael Lourenco: Yeah, the thing is, when you make it harder for a fraudster to make a fraud in a card-present transaction, you kind of push those people because they are kind of professionals, right. They take their money from these fraudulent activities. So they will go more to the card-not-present orders. So when I say that Canada is riskier, what I mean by that is that on card-not-present orders there will be more fraud in Canada comparing to the U.S. And my theory is that one of the reasons is the fact that the chip and PIN is more adopted, so therefore it’s harder to make a fraud in the card-present orders. So that’s why I think for card-not-present orders Canada’s is a riskier market than the U.S.
Doug Hoyes: It’s just that that’s where… And again, this is your theory. Obviously you’re not a fraudster so you don’t know for sure, but your theory is that that’s where they’re devoting all their attention, and that’s why it’s slightly more risky here in Canada than the U.S.
Rafael Lourenco: Correct. There’s another small difference between those two countries that I may mention that is the likelihood to be a victim of international fraud. So when it comes to our customers, and we have several customers out of Canada and another good number out of the United States, you will see a larger attack or a larger percentage of fraud attempts coming from other countries besides the original country of the merchant in the U.S. versus Canada. What I mean by that is that perhaps the U.S. merchants are more likely to be targeted by international fraudsters than a Canadian customer, which kind of balances with the other difference that I mentioned on the technology side. So both of them are targeted by international fraudsters, so fraud coming from international IPs, international credit cards etcetera. But comparatively speaking, the U.S. is more attacked or more attempted. There are more fraud attempts coming from international sources comparing to Canada. Doug Hoyes: Which kind of makes sense because the U.S. is 10 times bigger, there’s 10 times as many merchants. I guess there’s more to steal, so that’s probably another factor in it. Do you have any idea how much higher chargebacks are in Canada as compared to the United States then? Rafael Lourenco: So the numbers are not – they don’t converge necessarily. But combining all the different sources, I’d say around 20 to 30% riskier the Canadian transactions. Doug Hoyes: So Canadian transactions are 20 to 30% riskier for the merchants when you’re talking about card-not-present transactions. Rafael Lourenco: Yeah, versus America, yeah. Doug Hoyes: Versus America, for the reasons you just talked about. OK, so my final question then is, if I am a consumer and I’m worried about fraud, what should I do? And you’ve explained it quite well that, in most cases, if there is a fraud it’s going to be my bank, my credit card company that’s got to pick up the tab, or the merchant, so it doesn’t really affect me directly. But if I do get defrauded, then at the very least I probably have to get a new card and maybe I’m not going to be using that merchant anymore, so there’s a lot of hassle involved. And who knows, it may end up having some impact down the line on my credit. I mean if I got defrauded by some family member and it’s still considered to be a legitimate transaction because I gave someone my card or something, then obviously I’m still on the hook for it. But in the case of the pure types of fraud that we’re talking about – and again, I guess I’m speaking specifically about the card-not-present types of fraud – what as a consumer should I be aware of? What should I be doing? How can I at least lessen the risk that I’m going to have to go through this hassle? Rafael Lourenco: Sure, so I think there is a few quick tips, or a few advices let’s say I could provide. The first one is obviously the fact that sharing credit card information is never a good idea. So even if you trust somebody, or whatever relationship you have with somebody, sharing this information, it’s very personal information, and I’d say that it’s not recommended for you to by any means share this info. Especially take note of that on a piece of paper or any way that your credit card 16 digits is available may be used by somebody on a non-legitimate order. Doug Hoyes: Just on that, so just on that point then, so if I want to share my credit card with my son, a family member or something like that, then I guess either don’t share it, or number two, I guess you could always get a secondary card with a completely different number, with perhaps a lower credit limit or something. So, ‘Here you go, you can use this card.’ It’s only got $1,000 limit, the most I can possibly be scammed for then is $1,000, but you don’t have access to my card and all my numbers. Rafael Lourenco: Correct. Yeah, it’s so easy to make a new credit card that I’d say that it’s much safer to make it a really personal info, right. So you have yours, your son or daughter has another one, your wife or whoever has a third one. So it’s easy to get multiple cards, and I think we should use that prerogative. Doug Hoyes: Okay. So don’t share your credit card information. I interrupted you there; what were your other pieces of advice be? Rafael Lourenco: So if you’re involved somehow – I think it’s possible to find online lists of compromised data – and if you’re involved somehow in those situations, those data breaches etcetera, then there will probably happen a phenomenon in which your orders, orders that you legitimately made online, or any other type of order or any type of transaction, they will be more likely to be flagged as risky, right, because somebody whose data was utilized or compromised in a data breach is more likely to be targeted by a fraudster than not. So if you’re a consumer and you somehow have some – you think for some reason you were involved in a data breach, or your credit card or your personal info is out there available for fraudsters, you will be more likely to be flagged as a risky order, even if it’s yourself doing the order. Therefore, the merchant might eventually want to call you or to get in touch somehow. So even though consumers in Canada and North America in general are not used to that process, perhaps you will receive a phone call to confirm some data, to match, to confirm if you were the one who made the purchase. And that might come from a phone from you don’t know, but in that case I recommend you to take the phone and not avoid this call, because that’s what’s going to help you receive your purchase at the end of the day. If you’re receiving a phone call like this, there’s a chance that it’s a ClearSale call or whatever, or a call coming from a merchant, you as a consumer should, one, take the call. I think it’s for your benefit. And two, confirm, like wait for a confirmation on the merchant side first. So the question is not going to be what’s your birth date or what’s your credit number. The question will be more likely to be ‘Is the final four numbers of your credit card 4651’ or whatever, and then you’re going to say yes or no. And then the person on the other side of the line will know what good you just bought, how much it cost etcetera. So receiving those phone calls is something that consumers are not, they don’t like usually, but it’s usually a part of a process to avoid the order to be declined. So my second tip is understand that it is a reality, the more the fraud rates grow, and the fraud rates are growing a lot, the more likely you are to receive a phone order like this. Doug Hoyes: And I guess the key in what you said there was you’re going to be answering yes-or-no questions. You’re not going to be actually providing information. And certainly here in Canada there’s been huge issues in the past with scams from Canada Revenue Agency, and I assume you probably have the same thing with the IRS in the States, people calling up saying ‘Oh yes, I’m with the government’ and you know ‘please confirm your Social Insurance Number or your Social Security number or something for me’. And obviously you never want to be giving that kind of information out. But if you just made a purchase, in your example at Wal-Mart online, and someone calls and says ‘We’re calling on behalf of Wal-Mart and we are confirming that you just made a purchase. Did you just make a purchase, yes or no? Is this the last four digits of your credit card, yes or no?’ Those are yes-or-no questions. So your advice is yeah, you can answer yes-or-no questions, just don’t be providing any additional information. That’s the key there I guess. Rafael Lourenco: Yeah, correct. Exactly, 100% agree. Doug Hoyes: Okay, cool. And any other tips then for consumers to protect themselves? Rafael Lourenco: Well, I think the two ones that I just gave are good enough. And I’d say that my final comment is that any time you as a consumer understand [unintelligible 00:30:42] or have your purchase declined, which is the other side of the same coin, right. So sometimes you’re a [bit more fraud], but sometimes you are declined in a merchant that you did make a purchase but the merchant had the understanding that you didn’t, right. So on one hand, yes you’ve got to try to understand that it’s probably part of a conservative fraud-prevention strategy. But on the other hand, I recommend and encourage anybody that suffers with that problem, that report it somehow to the merchant. Because at the end of the day, we want the market as a whole to be better than it is, right. If you as a consumer were declined on an order, then report to the merchant so the merchant will understand they made a bad choice. And further, for you or other consumers they will make better choices. Doug Hoyes: Excellent, and I think that’s a very good point. We want the ease but we also want the security, right. And so if there are glitches in the computer algorithm that’s rejecting your purchases, then yeah, by all means speak up. Talk to your bank. Talk to the merchant and say ‘Hey, I think you’ve got your algorithm tuned a little too tightly here’, and hopefully that can correct the problems in the future. Well that’s fantastic. That’s excellent advice there Rafael, and I think that kind of helps us a bit more understand. I hadn’t really thought through the difference between a card-not-present and a card-present transaction, although now that you’ve explained it it’s quite objective. So once again, your company name is ClearSale. And so if anybody is listening who’s actually a merchant, because that’s who your customers are, right? Doug Hoyes: It’s merchants, it’s banks, that sort of thing. And you operate all around the world, so not just in the United States but in Canada as well. So if there are any merchants who are listening to this and are going ‘Hmm, that’s something maybe we should consider because we seem to be doing more stuff online and getting hit with more fraudulent transactions’, what’s the website people can go to to find more information out about your company? Rafael Lourenco: So thanks for this opportunity to share that. We are on the website Clear.Sale. And down there you can see a lot of contents, not only the chance of get in touch with us but our blog.clear.sale is full of information, both for consumers and merchants, about eCommerce in general, about card-not-present orders. So we’re a very content-driven company. And at the end of the day, we want to make the market better for everybody. So if you’re willing to have an online store or you already have it, and you want to know more about eCommerce and card-not-present fraud, blog.clear.sale is a good source of information, hopefully. Doug Hoyes: Excellent, fantastic. Well I will put a link to that in the show notes as well, but that’s a pretty easy address; Clear.Sale, S-A-L-E.
Doug Hoyes: Clear, C-L-E-A-R obviously, Clear.Sale. And there’s lots of information there. Well Rafael, I really appreciate you taking the time to do this. I think that’s some fantastic advice. Thanks very much for being here. Rafael Lourenco: Thank you, Doug. And I hope to talk to you soon. Bye, bye. Doug Hoyes: That was my conversation with Rafael Lourenco of ClearSale, a company that helps merchants around the world detect and prevent fraud from card-not-present transactions. I wanted to have Rafael on the show because most of my guests here on Debt Free in 30 are guests that explain everything from the consumer’s point of view. That’s great, but learning about fraud from the merchant side of the transaction gives some great insights on how we can protect ourselves. I agree with Rafael’s advice. Don’t share your credit card information with anyone. If you want to give someone else access to your card, like one of your kids or a relative, get a separate credit card with a separate account number for them, so that you can minimize your liability. Second, you should decide what’s more important to you, security or convenience. If you buy a lot of stuff from one retailer, perhaps it makes sense to store your credit card and other information on their website so you can take advantage of one-click ordering, so you don’t have to enter your information each time. But of course that’s a greater security risk; so again, you should decide whether you are willing to take that additional risk for the added convenience. No data is completely safe. And even if your bank protects you from fraud, if your credit card is compromised it’s a hassle to get a new card with a new number and re-set up any automatic payments. So avoiding fraud is always the best answer. That’s our show for today. As always, full show notes, including a full transcript of today’s show and a link to everything we talked about, and a link to Rafael’s company and links to our previous podcast on fraud, can be found at Hoyes.com. That’s H-O-Y-E-S dot com. Why is Walmart Really Fighting Visa?